With reports of the feds making arrests in restaurants, courthouses, and even on their way to prom, undocumented people can have nowhere to feel safe. But for those living around San Francisco, they shouldn’t have any trouble from train cops. The Bay Area Rapid Transit board passed a resolution prohibiting employees ask riders their immigration status, a move directly undermining President Donald Trump’s call to deport as many as 3 million unauthorized immigrants, including those formerly protected under the Obama administration. The resolution bars the use of district funds to enforce federal immigration law, unless required to by federal or state statute, regulation or court decision. BART police officers are not allowed to assist or cooperate in the investigation or arrest of a rider or obtain his or her legal status under the resolution. The BART measure, called the Safe Transit policy, in essence makes the BART a sanctuary for riders to feel safe from federal arrests, yet steers away from using the actual word as Trump’s proposed budget calls to cuts funding for sanctuary cities. 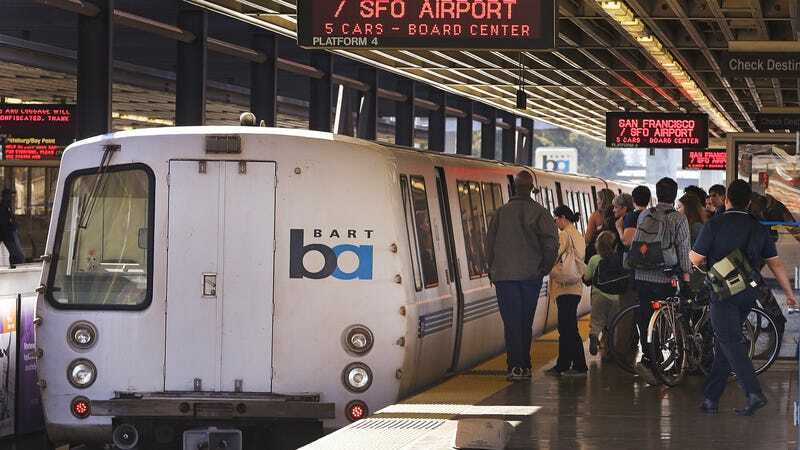 “The point of this was not to just make a political statement, the point of this was to make sure our riders knew that they would feel safe,” said BART Board President Rebecca Saltzman in an interview with Jalopnik. A transit officer in Minneapolis recently came under fire for asking a rider if he was “here illegally,” leading to the arrest of the passenger. Transit agencies in Chicago and Portland both recently reassured passengers that they would not participate in ICE raids. Arrests of immigrants with no criminal records more than doubled since Trump signed executive orders earlier this year stripping restrictions on who should be deported and emboldened the Immigration and Customs Enforcement agency charged with conducting raids and arrests. California, which houses one of the highest number of unauthorized immigrants in the country, is one of six states with confirmed raids and targeted arrests, as well as New York, the Carolinas, Georgia and Illinois. As arrests and deportations to undocumented immigrants will only go up in the coming months, independent agencies like transit systems could benefit from ensuring their customers are safe. “We hope that this policy will be a model for other transit agencies and other agencies will consider adopting something similar,” Saltzman said.